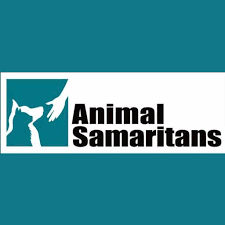 Animal Samaritans was founded in part to educate grade and middle school children on animal abandonment and abuse, as a means of ending the cycle of abuse against animals, which left unchallenged, often leads to abuse against people. 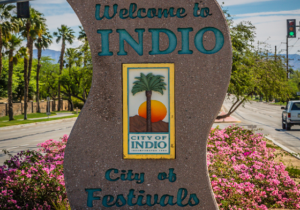 Currently, our bilingual Humane Educator annually visits approximately 10,000 children from all three school districts here in the Coachella Valley. Each presentation includes a visit with a live animal friend, an age-appropriate animal-themed lecture, and presentation, and educational handouts for students and parents. Presentations are available in both English and Spanish. Since 1978, Animal Samaritans has been the only non-profit in the Coachella Valley offering bilingual humane education classes in local schools to accommodate the requirements of California education section 233.5. Over the course of 36 years, we developed a grade specific curriculum which teaches compassion and empathy for animals, responsible and safe pet care, animal CPR classes, how to recognize animal neglect and abuse and more. When you see the environmental friendly car travelling through the streets of the Coachella Valley, Animal Samaritans is on their way to educating more children about the importance of Being Kind to Animals. This car was a donation to Animal Samaritans from The William C Bannerman Foundation. Through the Boys and Girls club in Desert Hot Springs, Animal Samaritans holds a summer Critter Camp that focuses on kindness and empathy for all living creatures. Animal Samaritans was founded in 1978, and is a leading 501(c) (3) no-kill animal shelter, full-service veterinary clinic, and comprehensive outreach animal welfare organization committed to “Improving the Lives of Animals and People.” In addition to our high-quality affordable veterinary services, we rely on individual and corporate donors, grants, planned giving, and fundraising efforts to maintain and expand our many programs and services. We employ roughly 40 employees and utilize community volunteers to carry out our mission. We champion compassion and respect for all living creatures, with a primary focus on dogs, cats, and the humans who love them. The nationally recognized Be Kind to Animals Week® is happening now – May 7 – 14!